12. bis 15. 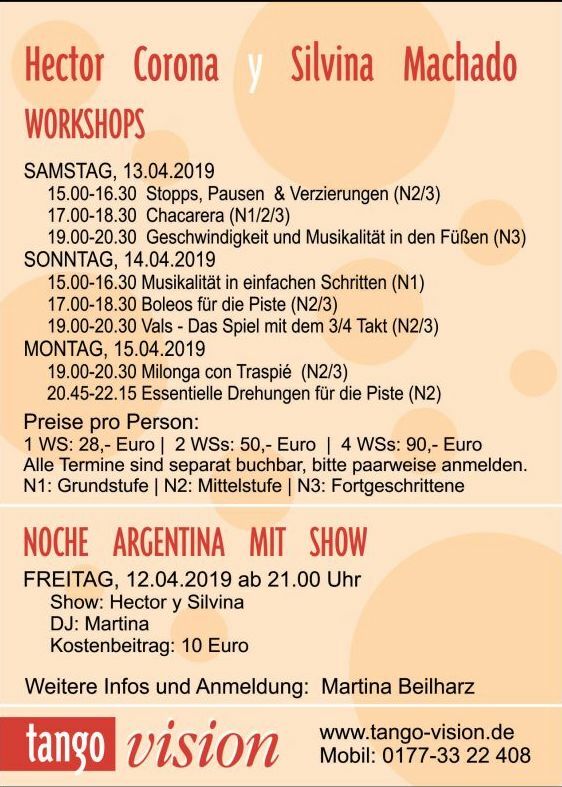 April 2019 - "Hector y Silvina - Workshops und Tangofest mit Show"
29. 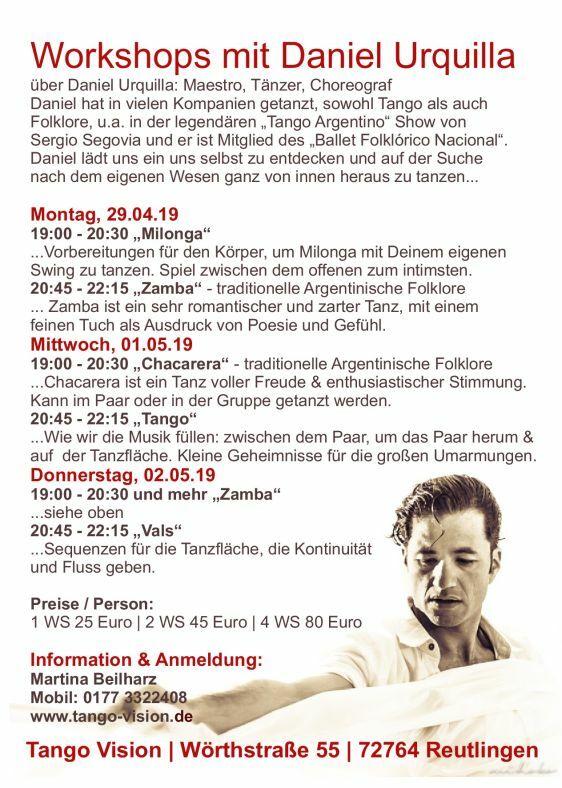 April - 02.05.2019 - "Daniel Urquilla - Tanz in den Mai mit Folkloreshow und Workshops"